Keurig K425 vs. Keurig K525 – Which One Is Best? Searching for a new single-serve coffee machine can be an absolute nightmare, especially if you are unfamiliar with what you should be looking for. 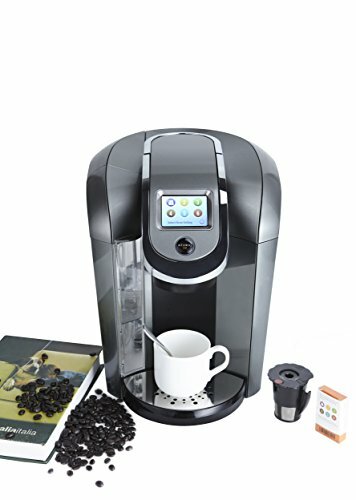 There are hundreds of different brands, different components and companies that claim that theirs is better than the next (see Keurig K425 vs K525 in detail below). Keurig Green Mountain is a brand that we can trust because they have been around for more than three decades. They are known to design and manufacture single-serve coffee machines that are durable, efficient and that offer their users a lot of versatility and variety. Which explains why they can be found in more than twenty million homes and offices across North America. If you like to drink coffee and other warm drinks regularly, then you should be aware of the fact that Keurig single-serve coffee machines are famous for making freshly brewed drinks a rather consistent and reliable affair. Most of their Keurig 2.0 product line models can even be used to choose the exact temperature and strength that you would like your drink to be, but you should use 2.0 Licensed K-Cups if that is something that you are interested in. You should pay attention to the 2.0 Licensed K-Cups. They come in the form of hot and cold coffees, different types of teas, hot chocolates, dairy-based beverages and even beverages that you would never believe a single-serve coffee maker should be able to make. This type of variety means that you will never get bored as you will always have different options. Today we are going to be comparing both the similarities and differences of two different Keurig Green Mountain single-serve coffee makers, the Keurig K425 and the Keurig K525. These products both come as part of the Keurig 2.0 Plus range, so they are more advanced than the Keurig 1.0 models, but there are a few key differences between both of these models that you should be aware of if you are trying to choose between these two products. 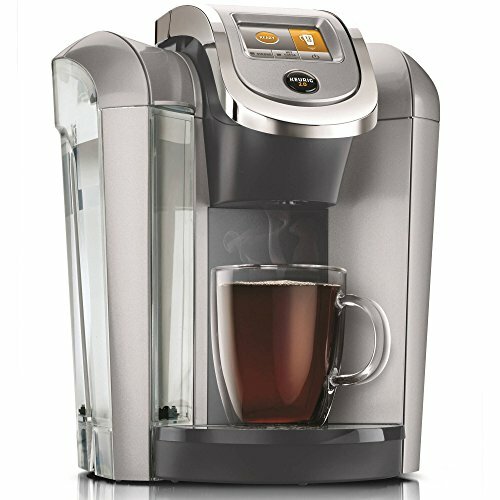 Before we begin, one thing that you should be aware of is the fact that most single-serve brewing systems come with a multitude of different components, but the features and components that are present on the Keurig K425 and the Keurig K525 are incredibly similar to each other. Both of these single-serve appliances are part of the same product line, with the K525 being a step up from the K425. If you already know which features you are looking for, then choosing between the Keurig K425 and the Keurig K525 should be an easy enough thing for you to do. But, if you don’t know which features you are looking for, then you should stick around because this article will help you work out exactly what you want. 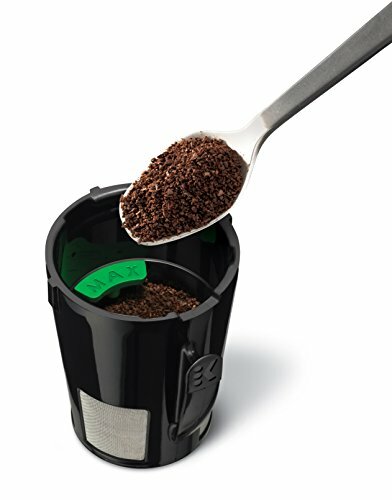 You also don’t have to worry about the quality of the features that are present in Keurig Green Mountain single-serve brewers because as a company, they know exactly which features to use and when to use them. Years of experience have taught them what consumers are actually looking for and what consumers can benefit from. In this article, we are going to be taking a look at some of the key components that Keurig Green Mountain have chosen to include in both the Keurig K425 and the Keurig K525. Keurig are known to be practical, but there are some flashy features on both of these products that you should be aware of. One of the first similarities that we are going to be talking about is the fact that both the Keurig K425 and the Keurig K525 are controlled using touch screens. These touch screens display color instead of black and white. The one on the Keurig K425 measures 2.4” and the one on the Keurig K525 measures 2.8”. The color touch screen can be used to adjust all of the different settings on these single-serve coffee makers. These include customizing the clock that is on the screen, customizing the wallpaper that is present on the screen and setting the brewer up as a night light as soon as the clock hits a certain time. Compatibility is something that you should always think about when you are buying a single-serve coffee maker. You need to know what you can and can’t use with it so that you know what products you will have to buy to use it. Keurig have an online marketplace of all of their different products so that you can see whether or not any of their beverages suit your tastes. Both of these models can be used with Keurig 2.0 Licensed K-Cups, K-Mugs, K-Vue and K-Carafe Pods. Being able to use all of these things gives you a lot of different options when it comes to the types of beverages that you would like to drink. The K-Cups themselves come in the form of different types of coffee, tea, cocoa and an array of other things. Whether you prefer tiny cups of coffee or giant cups of hot chocolate will not matter at all with either the Keurig K425 or the Keurig K525. They can both be used with either tiny cups or giant ones because they both have a size range of 4 – 30 ounces when it comes to the types of cups that can be used with them. This is because they both come with removable drip trays. One of the worst things about the original Keurig 1.0 single-serve models is the fact that the strength of your brew is determined by the size of the cup that you decide to use. You don’t have to worry about that at all with these Keurig 2.0 models. You can adjust the settings so that your brew comes out exactly how you like it. Regardless of whether you prefer a weak drink or a strong one. Strength isn’t the only thing that you can control with the Keurig K435 and the Keurig K525. You can also control the temperature of your drink and the temperature of any hot water that you get out of your single-serve brewing machine. This means that you won’t have to risk burning your coffee beans or not being able to drink your drink straight away because it feels like a cup of hot lava. One thing that you don’t usually get to see on a lot of different single-serve brewing machines is a high-altitude setting. Luckily, both the Keurig K425 and the Keurig K525 have high-altitude settings. These enable you to make warm drinks up to 6,000 feet above sea level. You should note that you might need to puncture your K-Cups in advance if you are in an elevated location. Otherwise, some of the pressure that could build up inside could cause the K-Cup to burst. One of the first differences that you should be aware of is the fact that the Keurig K425 does not come with a water filter starter kit in the box. But, you would be able to purchase a water filter kit separately if that was something you were interested in doing. Water filters are incredibly useful, especially if you live in a hard water area. 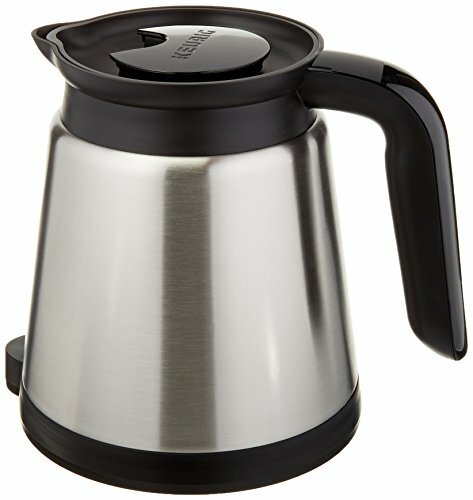 Another thing that the Keurig K425 does not come with is an official Keurig carafe. A carafe is not an essential, but it can be useful to have a carafe if you have to make drinks for a lot of different people at once. You simply have to use the carafe instead of changing the cup every 30 seconds or so to make a drink for another person. Carafes can be wonderful things to have in the summer because you can use them to make a lot of iced coffee or iced tea at once and take it outside in the carafe so that your friends and relatives can help themselves. You could also use a carafe in office meetings so that you don’t have to get someone to come into the meeting with drinks whenever people are thirsty. The water reservoir size on the Keurig K425 is slightly different to the water reservoir size that can be found on the Keurig K525. The K425 has a maximum capacity of 70 ounces, while the K525 has a maximum capacity of 80 ounces. Having a massive water reservoir capacity can be useful, but there are also smaller options available if you don’t plan on using all of that water at once. We can’t deny that both of these products are brilliant. While there are a few differences between them, they are mostly differences that can be remedied by buying separate attachments. If you are on the market for a relatively advanced single-serve brewing machine, then you would benefit from owning either of these models. The main differences between both of these products include the size of the water reservoirs that they both feature, whether or not a decanter-like Keurig carafe is included with the single-serve appliance and whether or not a water filter is included with the single-serve appliance. 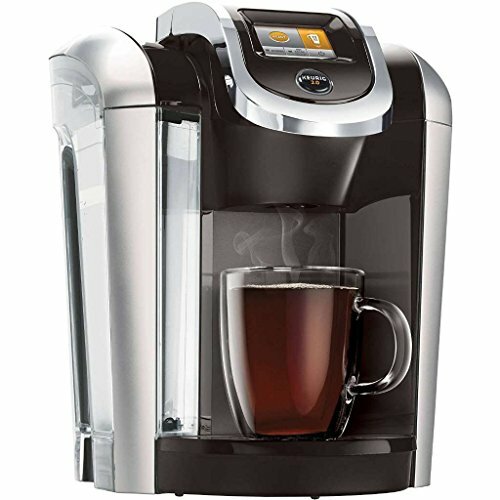 Only the Keurig K525 comes with a Keurig carafe and a removable water filter. 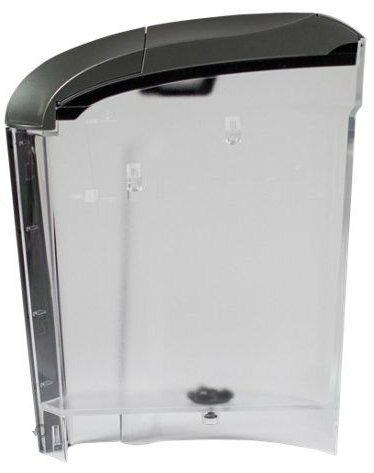 If you think that you would prefer to own the Keurig K425, then you could always purchase a water filter and carafe separately. Water filters aren’t always a necessity, but you should think about buying one if you live in a hard water area. Whether or not you will benefit from having a larger or a smaller water reservoir depends on what you plan on using your single-serve brewing appliance for. If you know that you are going to have to regularly make drinks for a lot of people, then having a larger water reservoir will probably be beneficial. But, if you are only going to be making drinks for a few people, then you don’t really have to worry about the size of the water reservoir. Both of these models can offer you a lot of different components that have been optimized to meet your needs as a user. You can decide how strong you want your brew to be and you can choose how warm you want your brew to be. Or, you can let either of these models read the lids of your 2.0 Licensed K-Cups so that they know what the best temperature to use is. It is rare to see high-altitude settings on coffee machines that are as affordable as these. Anyone who lives at a higher altitude would benefit from owning one, as would anyone who regularly hikes, camps and enjoys home comforts. 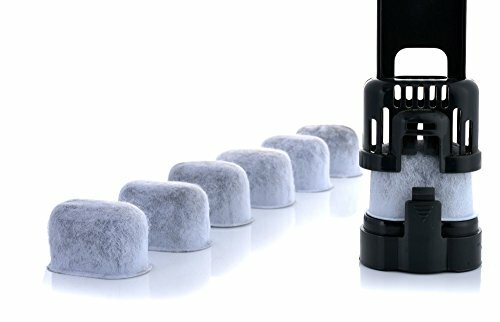 Remember that you will have to puncture your K-Cups before you use them if you are at a high altitude, otherwise the pressure inside of your K-Cups could quickly begin to build up.